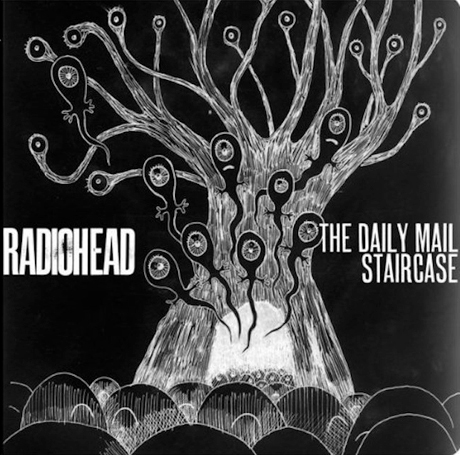 While Radiohead obsessives are no doubt still going to grab the band's upcoming The King Of Limbs: Live from the Basement to nab the two previously unreleased tunes included on the DVD, it's just been revealed that the tracks -- "The Daily Mail" and "Staircase" -- will make their way onto iPods as well. A press release for the English group confirms that they'll be selling both tracks on their website the same day as the film's digital release date, December 19, while a physical version of the DVD/Blu-ray should pop up in North American record stores on January 31. The UK will get the package a week earlier, on January 23. Both songs come directly from The King Of Limbs: Live From the Basement, but if you missed out on the performance when it was broadcast live last summer, you can check them out again down below.